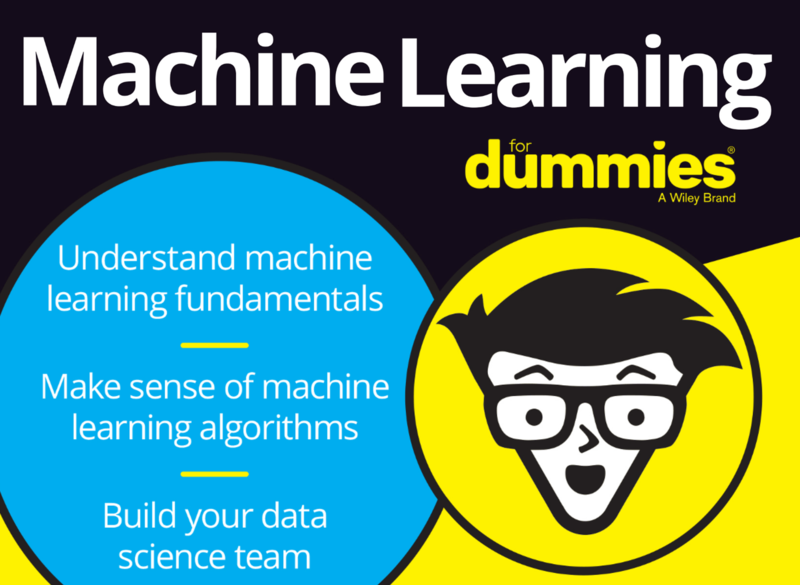 From the popular series of 'For Dummies' books by Wiley, you can get the ebook versions of Machine Learning for Dummies and LinkedIn Profile Optimization For Dummies. Both are offered free of charge with your email address or by connecting via LinkedIn. The offer expires February 20. 'Machine Learning for Dummies' takes a cross platform and cross language approach. Both language tutorials are effective - if not comprehensive - for people already comfortable with basic coding. Covering the entry-level topics needed to get you familiar with the basic concepts of machine learning. Without machine learning, fraud detection, web search results, real-time ads on web pages, credit scoring, automation, and email spam filtering wouldn't be possible. The second ebook helps you set up your professional LinkedIn account to your advantage. Whether your goal is job search, branding, reputation management, or sales, people are Googling you—and your LinkedIn profile is more often than not their first point of contact.